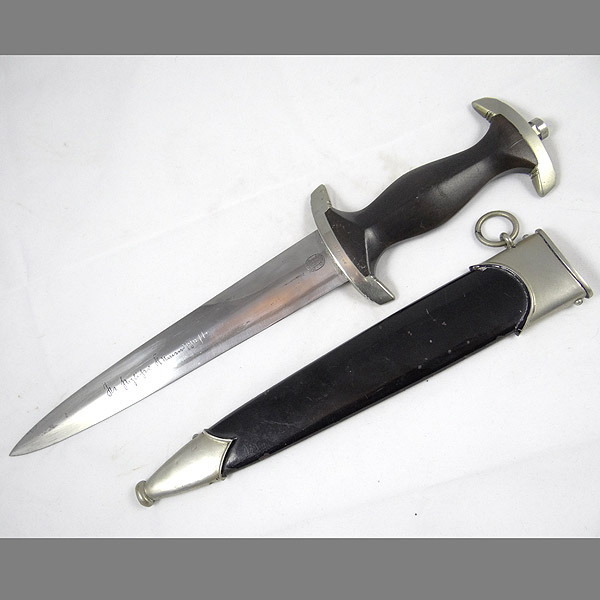 The dagger overall is in very nice condition, with no chips on the grip, only your standard dings and light scratches. 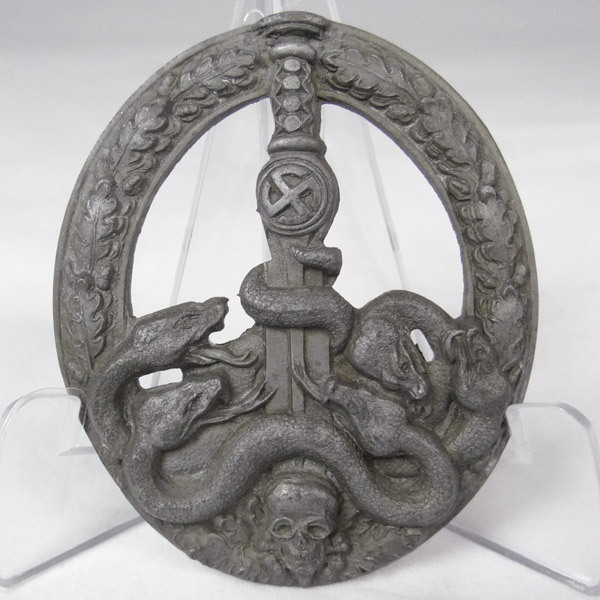 The nickel cross guards show only normal and expected levels of age and tarnishing. 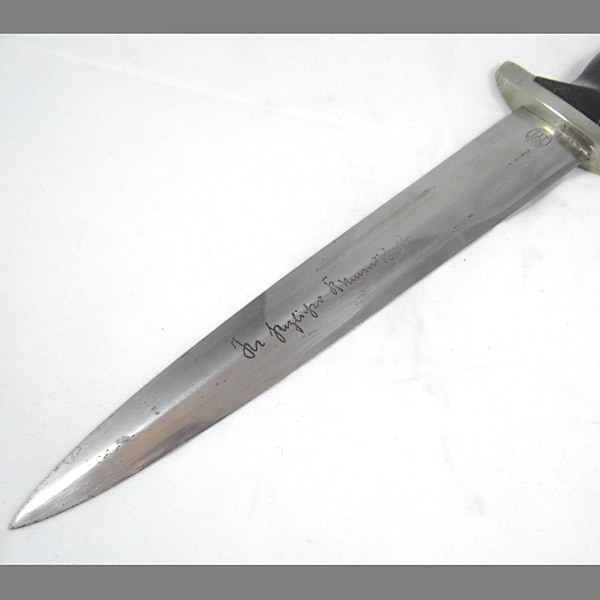 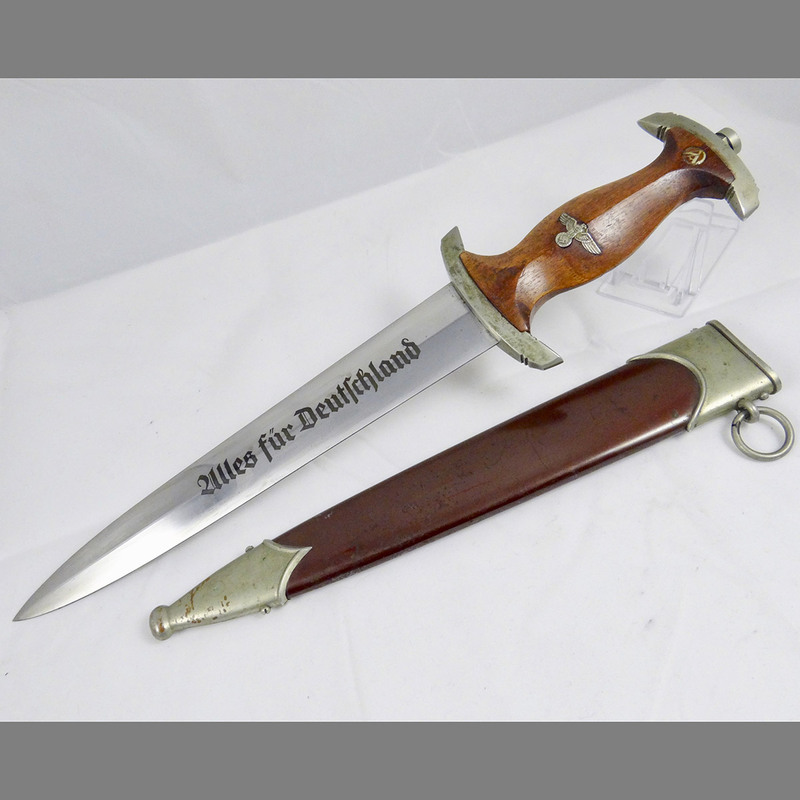 The lower guard is stamped with the roman numeral “I”, which symbolizes the dagger was issued through the SS District Munich. 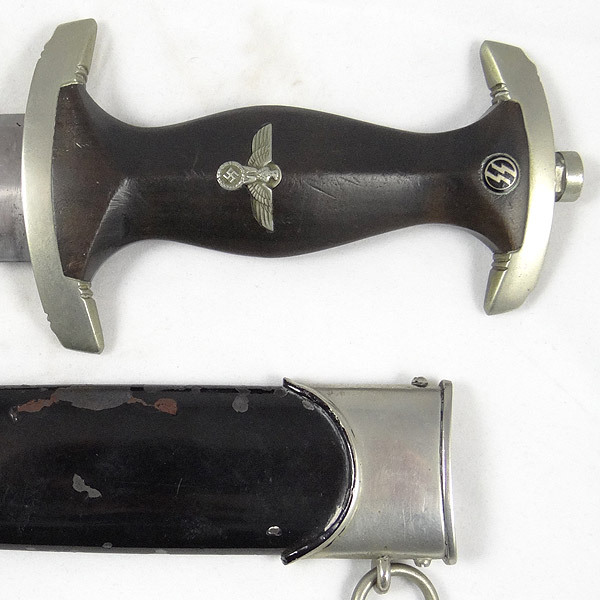 Directly to the right of the “I” is the SS Officer’s SS-number 17744, stamped clearly into the guard. 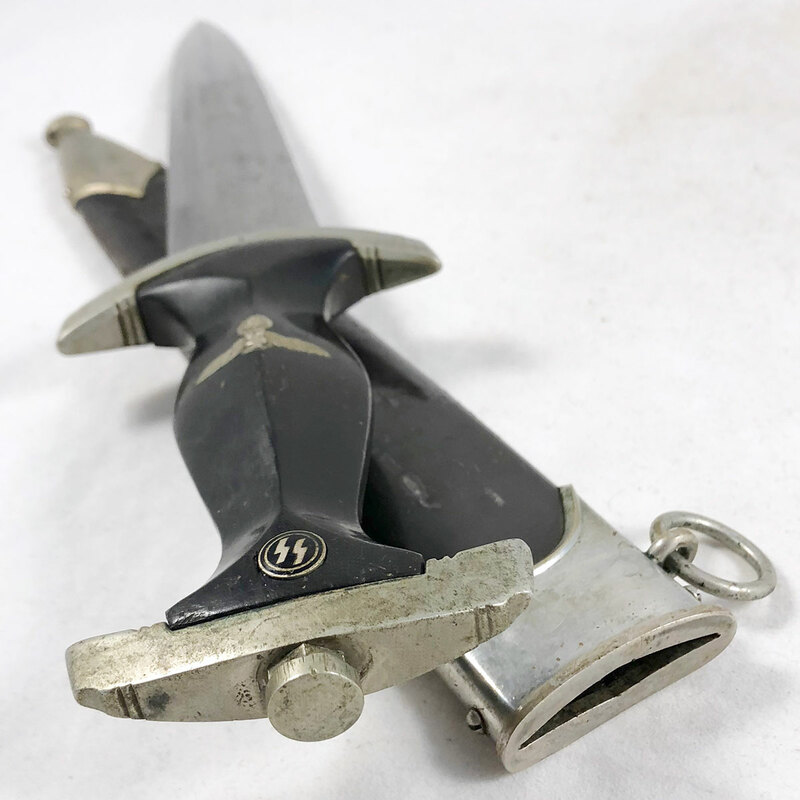 The blade shows some minor spotting, but is otherwise in remarkable condition – one of the nicer Partial Rohm blades we’ve come across. 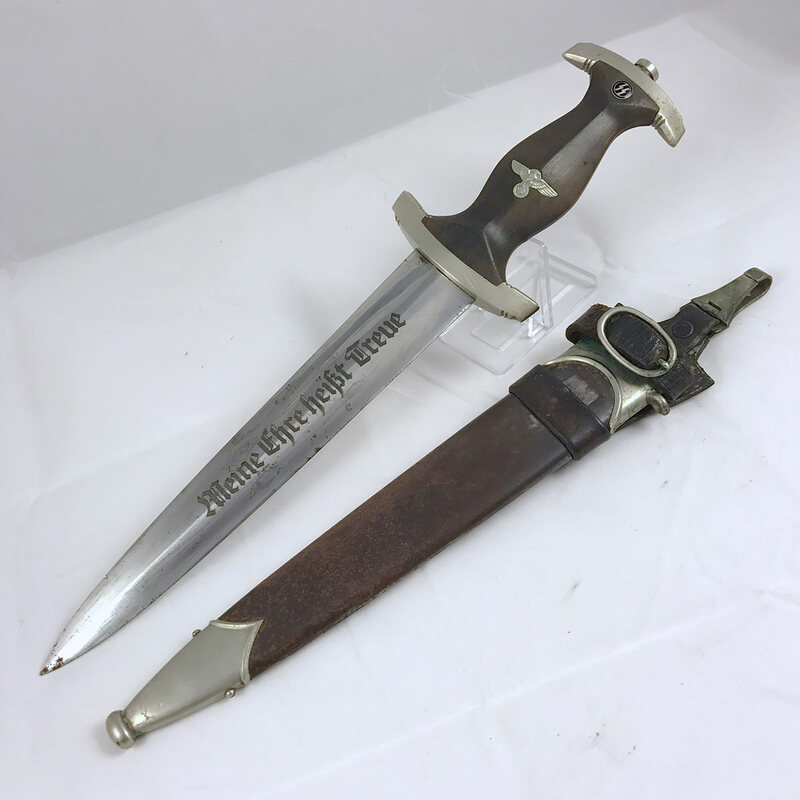 The motto is crisp and retains its original deep gray color. 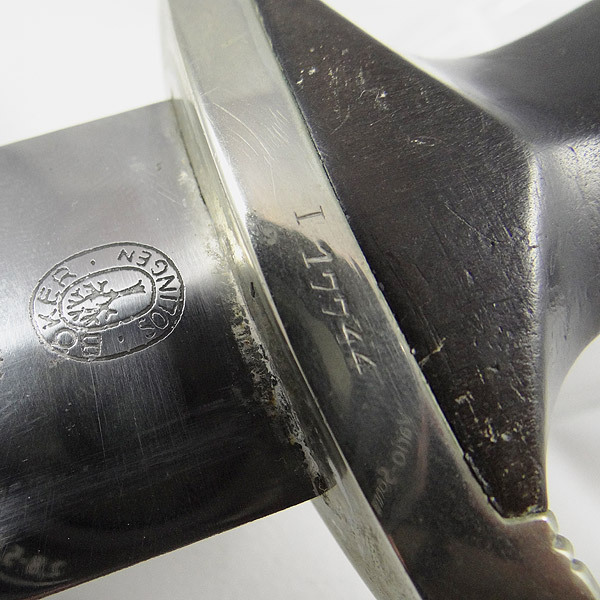 On the reverse is the fully legible Rohm motto, with the Ernst Rohm signature appearing to be buffed away, versus the traditionally seen ground method. 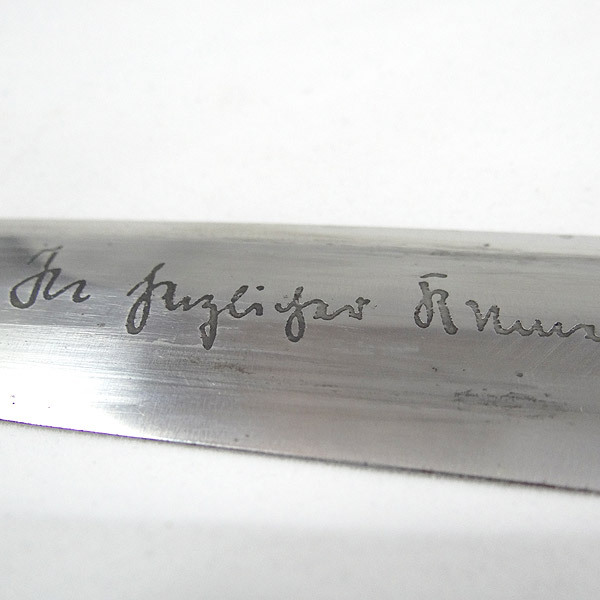 In the right light, and at the right angle, the “E” and several other points though out Ernst Rohm’s signature can be clearly seen, but extremely difficult to photograph. 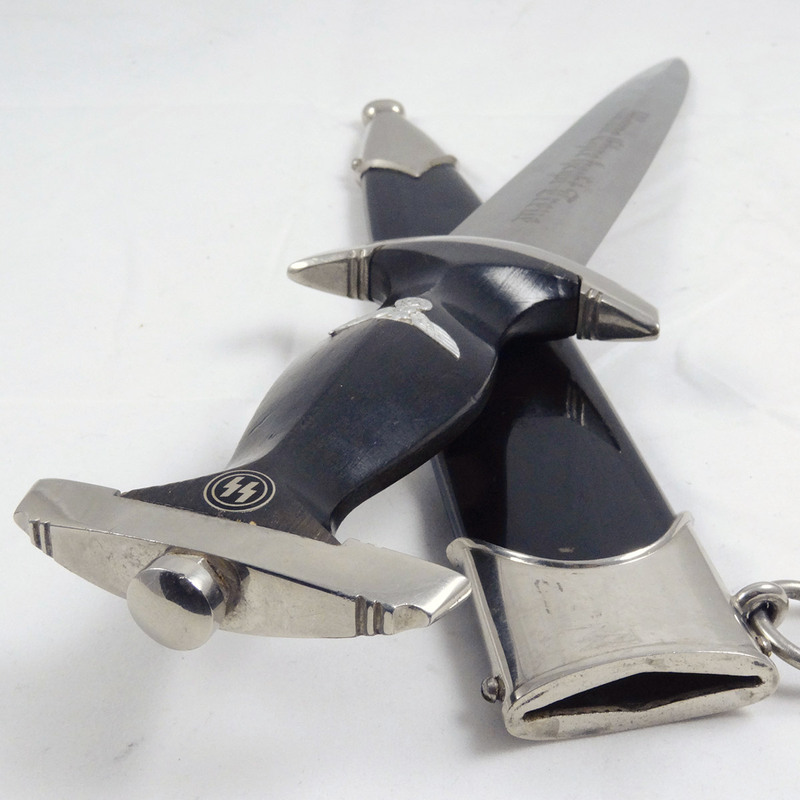 The early Boker logo is crisp and 100% untouched by the grinding (buffing) process. 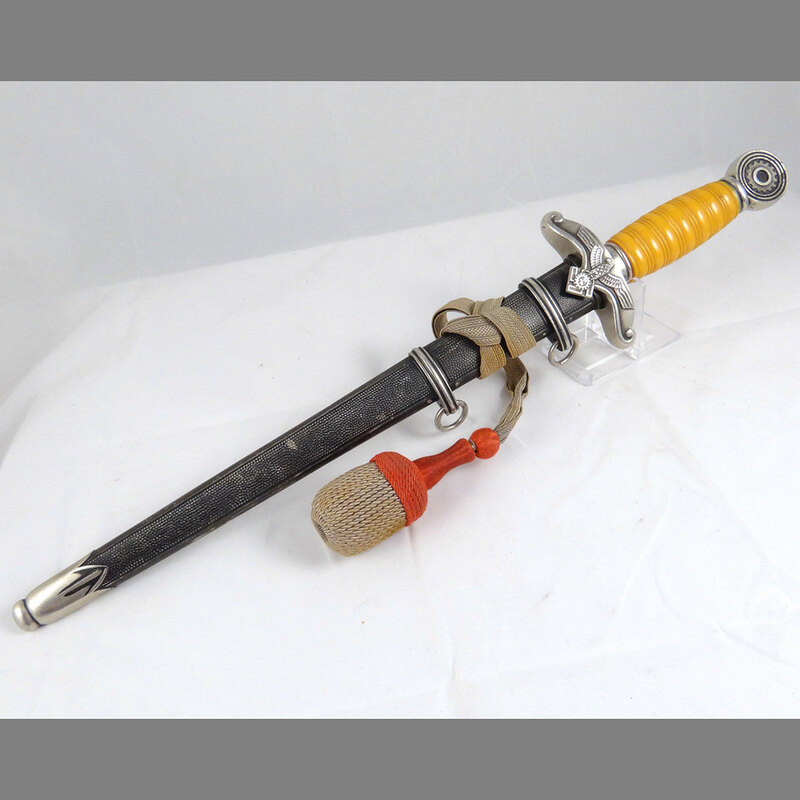 The scabbard is a period repaint, which is common. 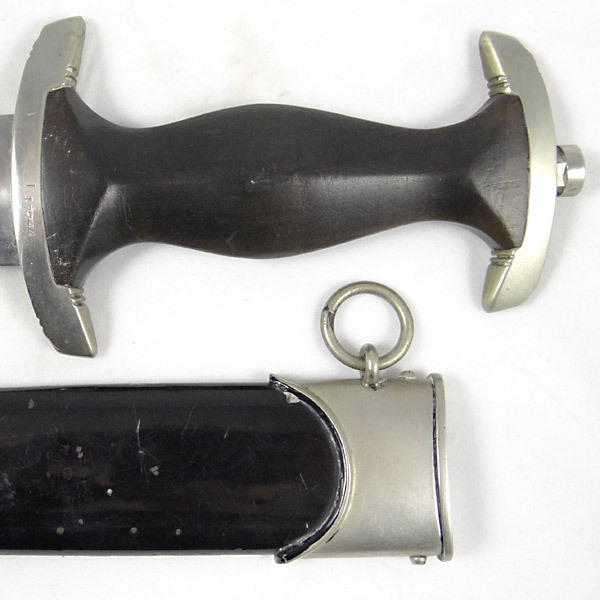 Originally anodized, many were repainted. 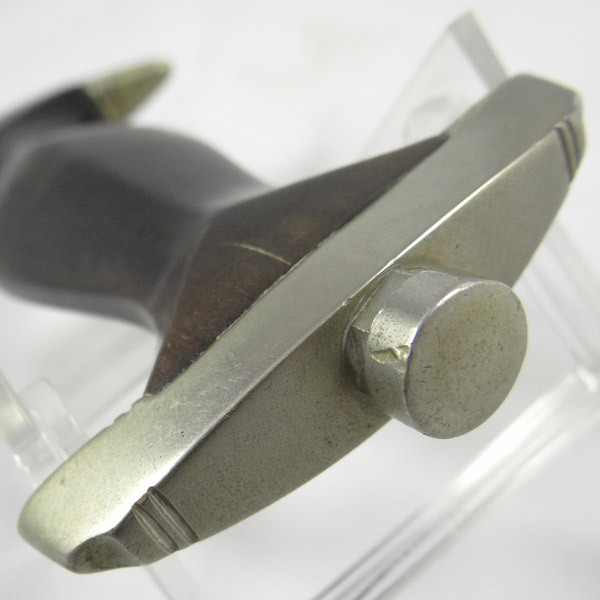 Some of the paint has chipped away, revealing the original anodized surface. 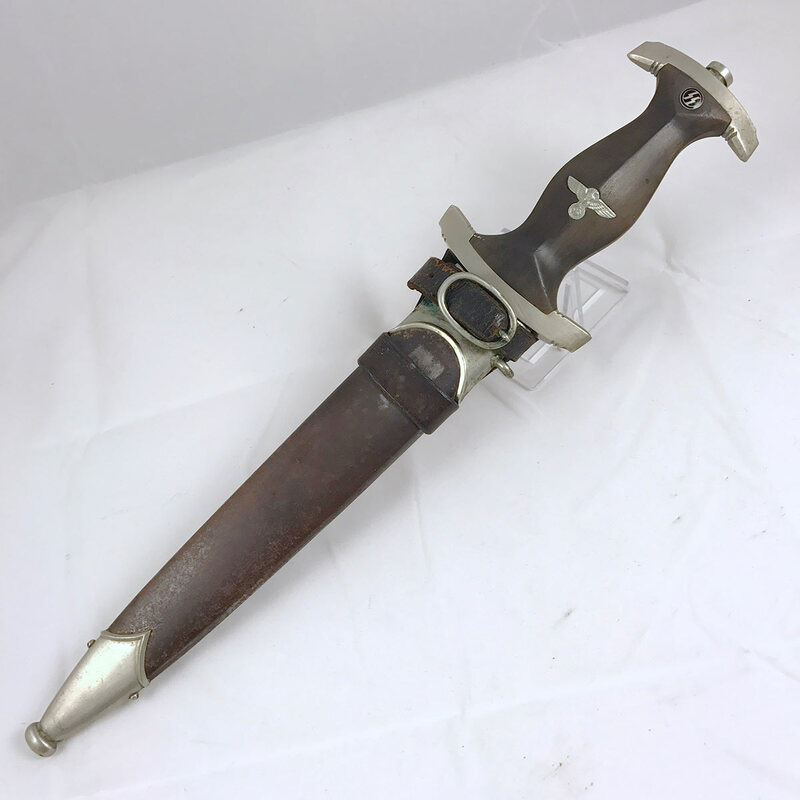 The metal fittings have some minor dings and surface stress, but are complete, except one screw that is missing on the lower tip fitting. 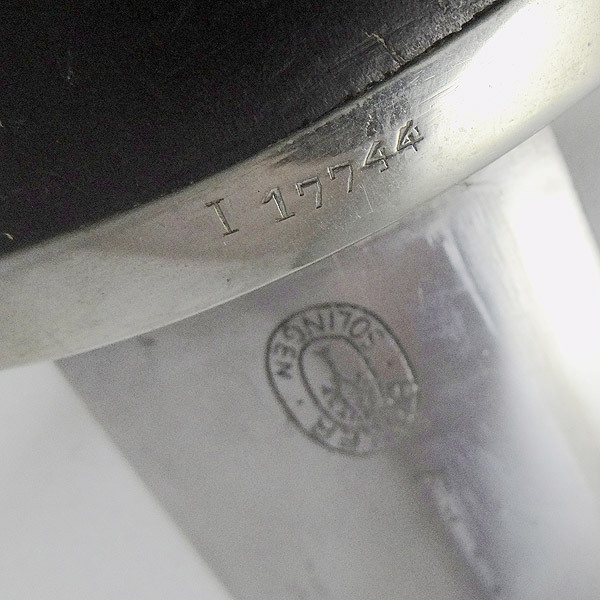 The ball on the tip fitting has also suffered a couple of dings, likely from a fall or two. This is very common with this type of dagger. 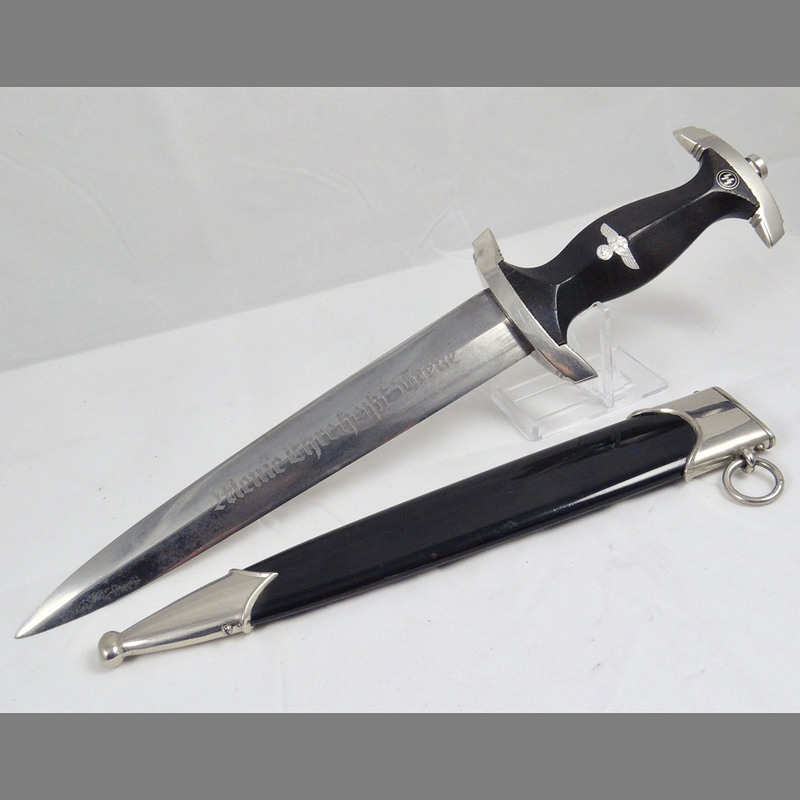 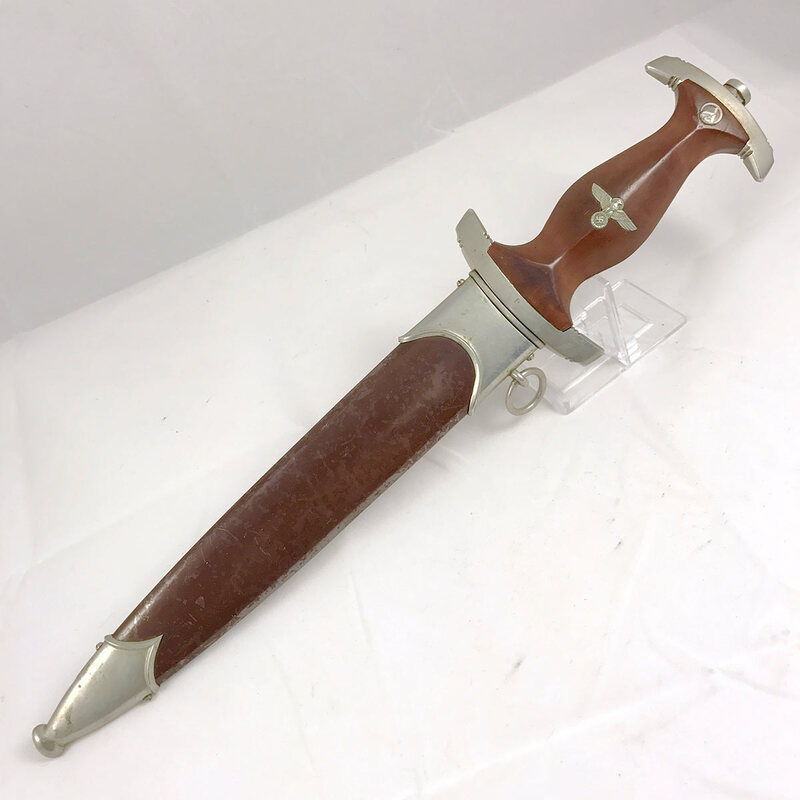 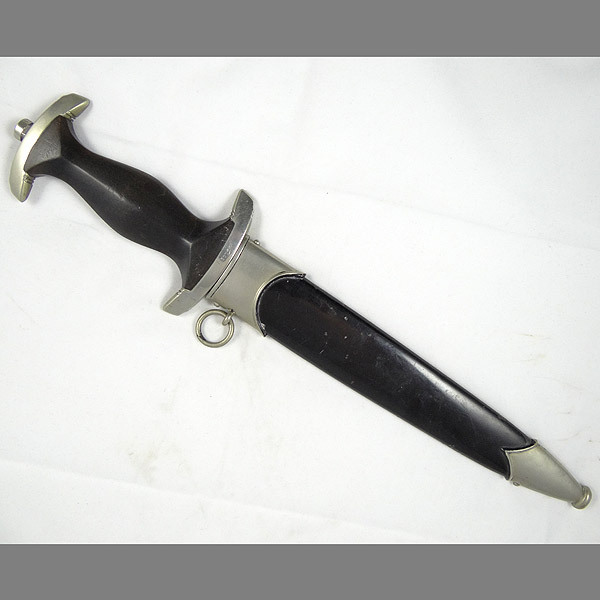 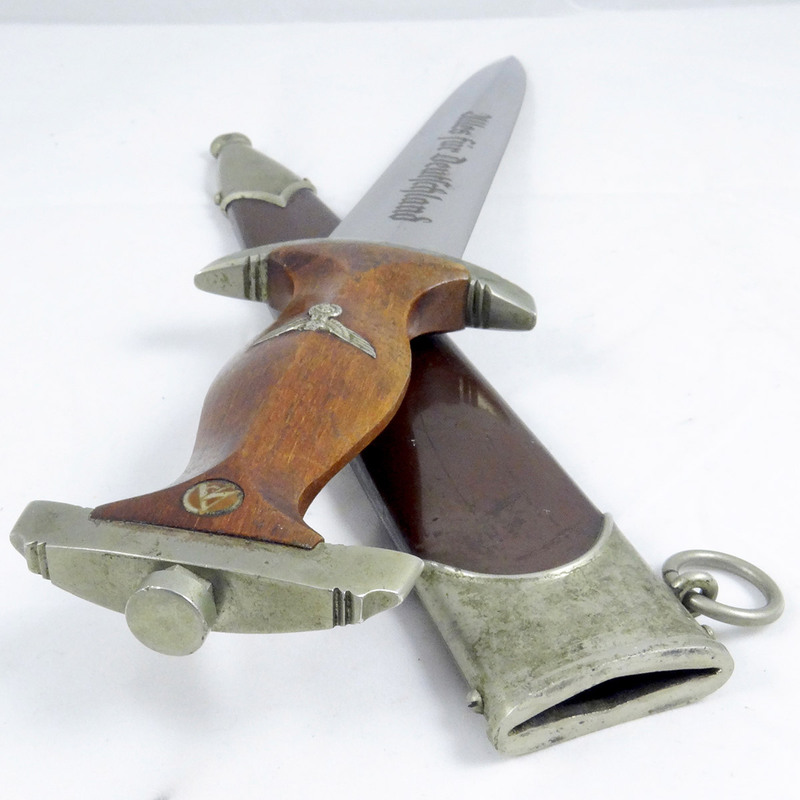 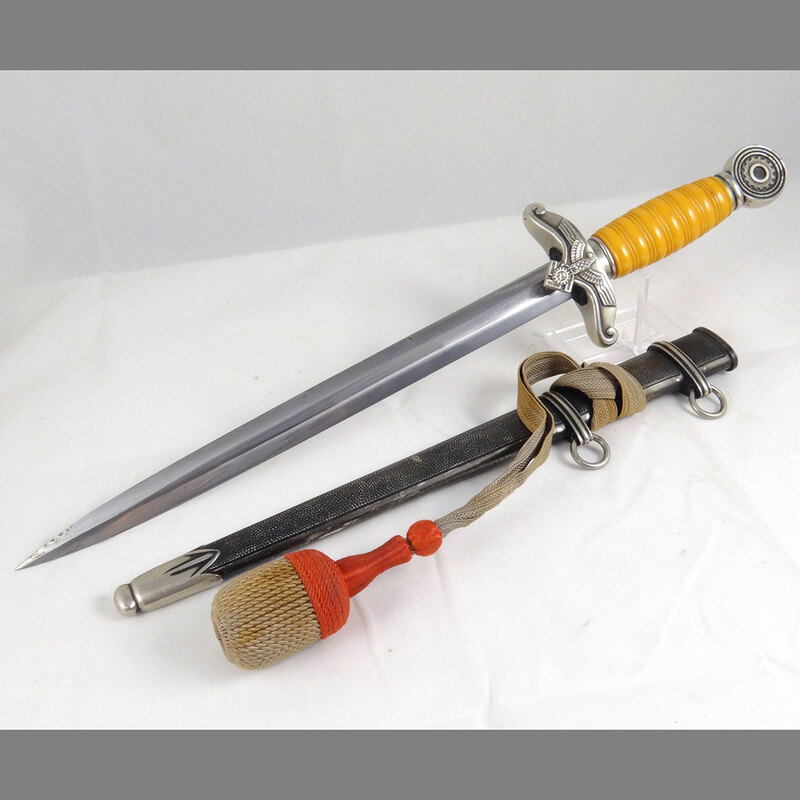 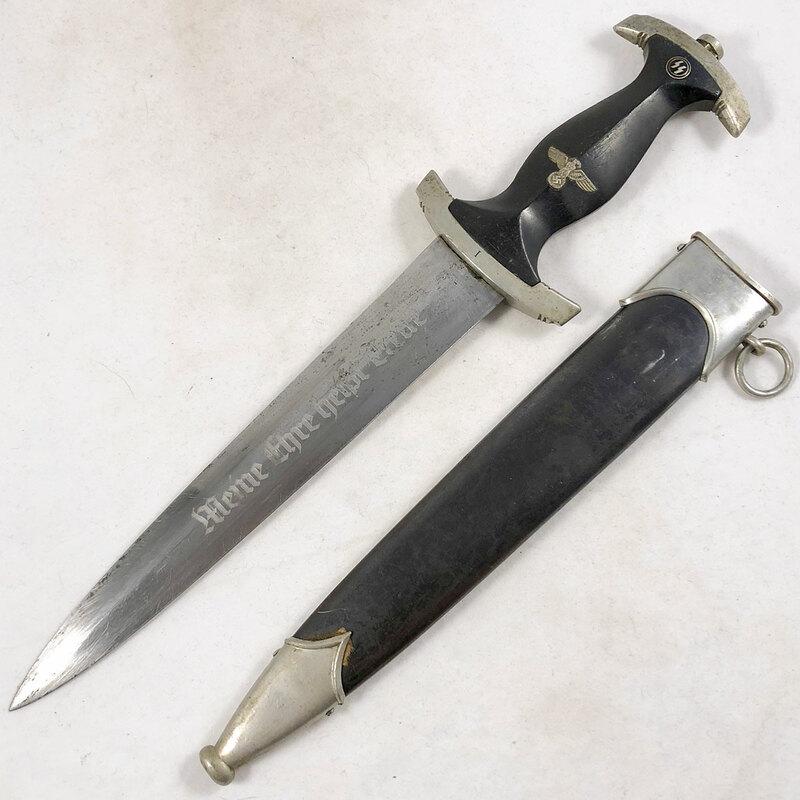 A brief bit of information about Paul Weyer, the SS officer who wore this daggers: In 1938 Paul Weyer held the rank of SS-Untersturmführer; he held NSDAP Membership #313368, indicating that he joined the Party in approximately 1931. 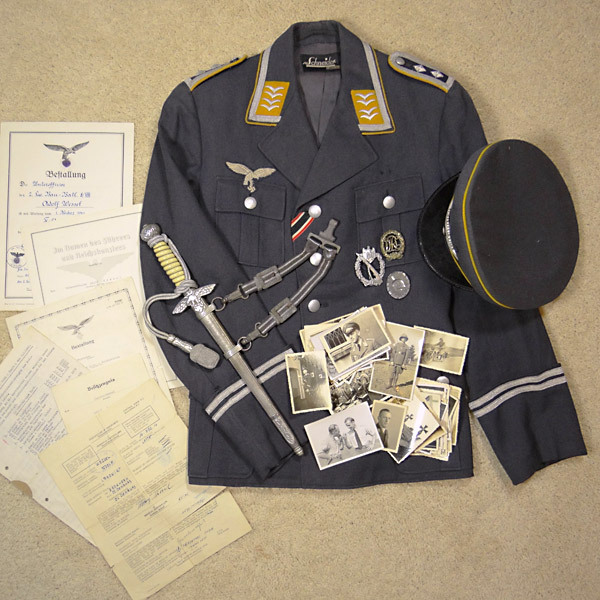 His junior officer service was spent as a Pioneer with Pioniereinheit 4. 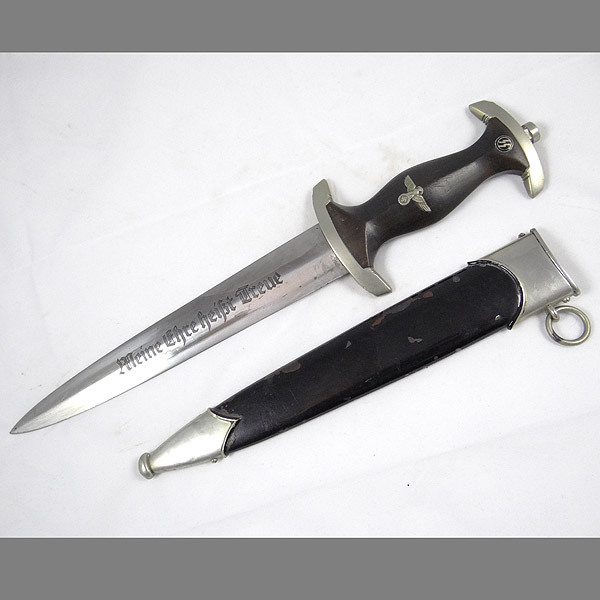 He was born on January 14, 1898 and while he was probably too young to have served in The Great War, he was awarded the Honor Cross for Frontfighters for his militia service in one of the Freikorps during the early years of the Weimar Republic. 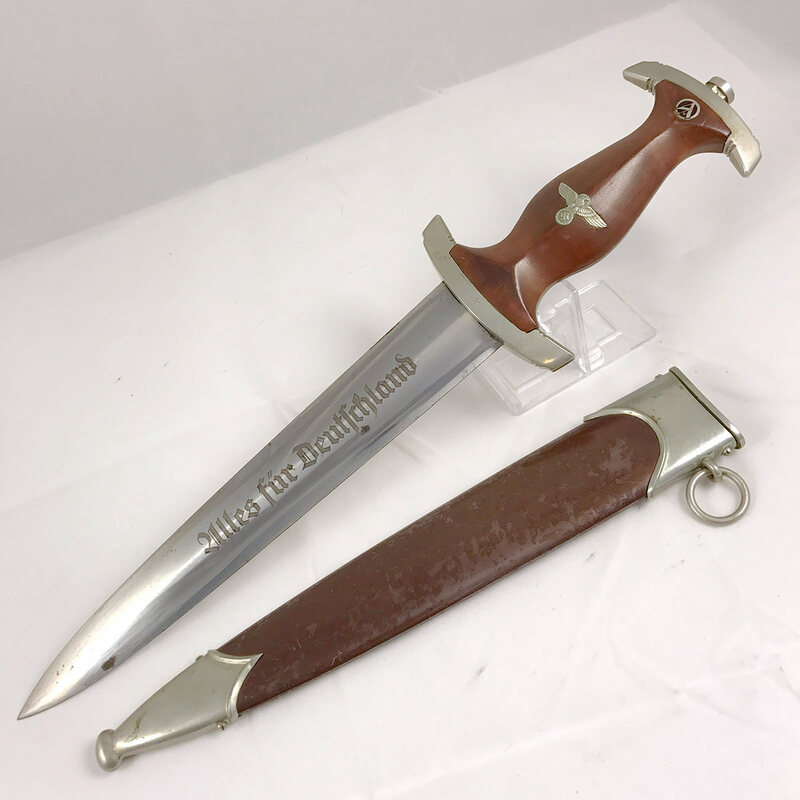 Weyer had qualified for the SA Sport Badge, had received the Honor Ring from Himmler, and was a member of the Lebensborn Program.